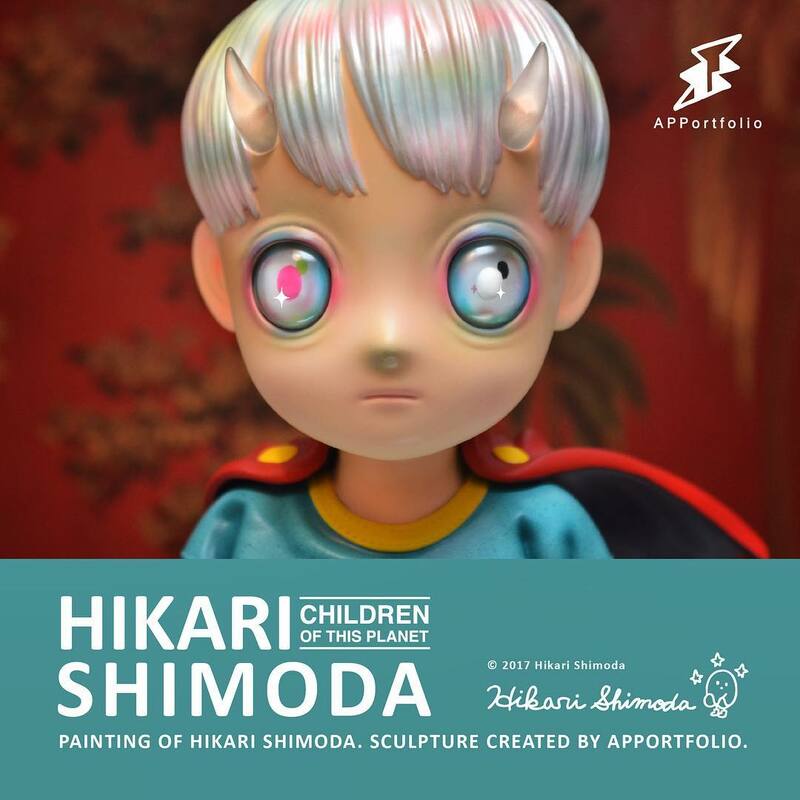 Hikari has become well known for her widely-collected paintings of starry-eyed children, and now, she is set to debut her very first collectible piece, a colorfully detailed bust based on her painting series, Children of This Planet, in collaboration with Apportfolio Asia. 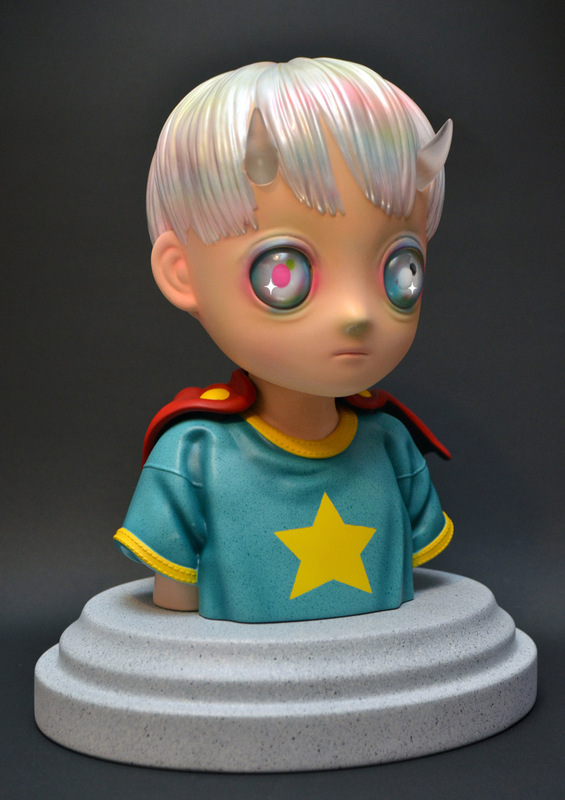 "Child of This Planet" is a piece very dear to Hikari, as the first sculptural representation of her signature character, an other-worldy horned child who represents countless possibilities. Of her characters, Hikari says, "Those vacant children are, so to speak, “cups of my emotions”- something which I could pour my emotion into." Slated for a mid-October release, the meticulously crafted sculpture measures approximately 12" tall and 8" in width, packaged in full-color collector box with a certificate of authenticity. The sculpture is set to make its public debut at the Apportfolio Asia booth C21 at Innersect Music Festival in Shanghai on October 5th. 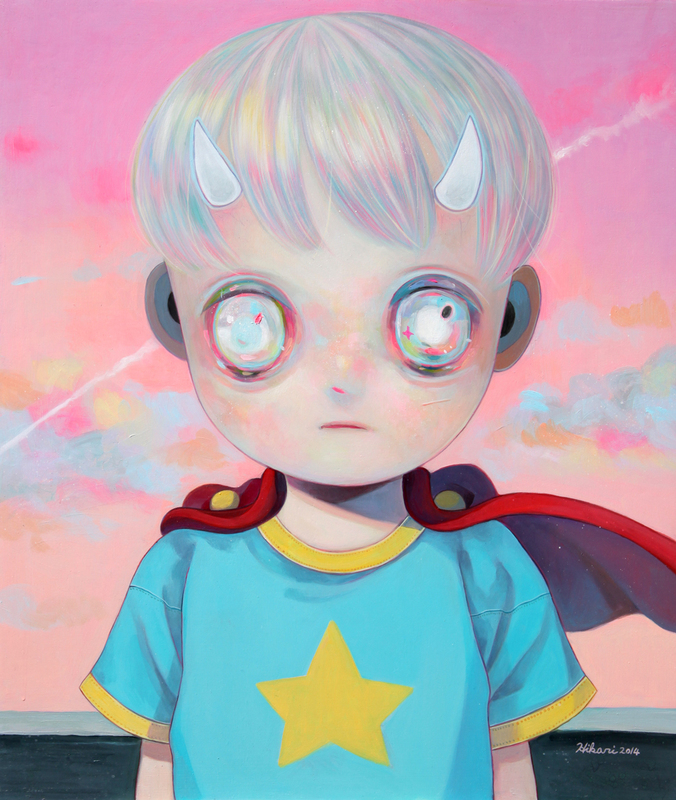 Upon release, this piece will be strictly limited to only 300 numbered copies for worldwide distribution. 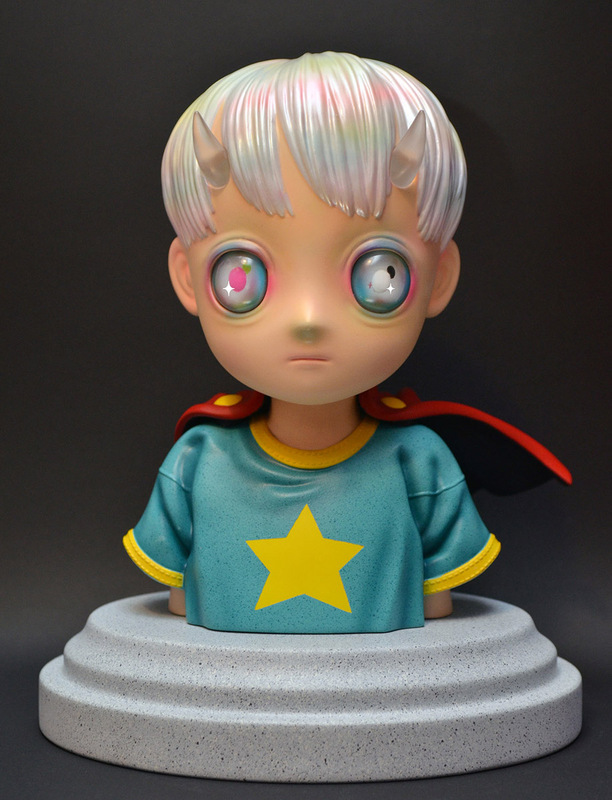 Pre-orders can be made online at Apportfolio Asia on October 5th, 10:00pm EST. Any figures not sold during the pre-order will be made available online at Apportfolio Asia on October 15th, 10:00pm EST.